Today we went to the seaside. It’s the first day off we’ve had that is unconnected to the garden project since before Xmas, so I think we’ve probably earned it, and as you can no doubt guess we went to Skegness. Just an hours drive from ‘Grassy Bottom’, Skegness is a good old fashioned seaside resort with something to suit all tastes and age groups. what could be nicer on a warm, sunny, Sunday afternoon? 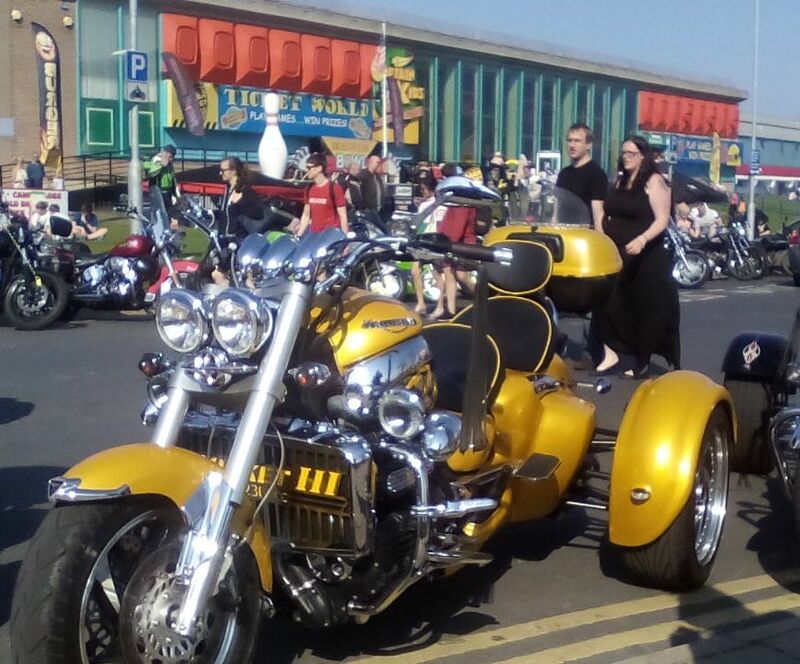 Then we headed off down on the promenade to see what was going on and to my delight it was full of motor bikes. Not everyone’s cup of tea I know, but I’ve always had a bit of a thing about them, even though I’ve never had a ride on one (I still live in hope). 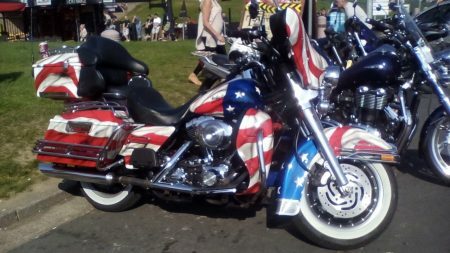 There are some truly spectacular machines and it’s interesting to note that most seem to be ridden by middle aged men, (perhaps they are the only ones who can afford the insurance premiums!) consequently the gathering was quiet and peaceful and nothing like the ‘rockers’ of my youth. and this ‘stars and stripes’. It will be back to reality tomorrow when all being well the final phase will begin, digging the remainder of the drive up and escorting the very last lump of old concrete off the premises.